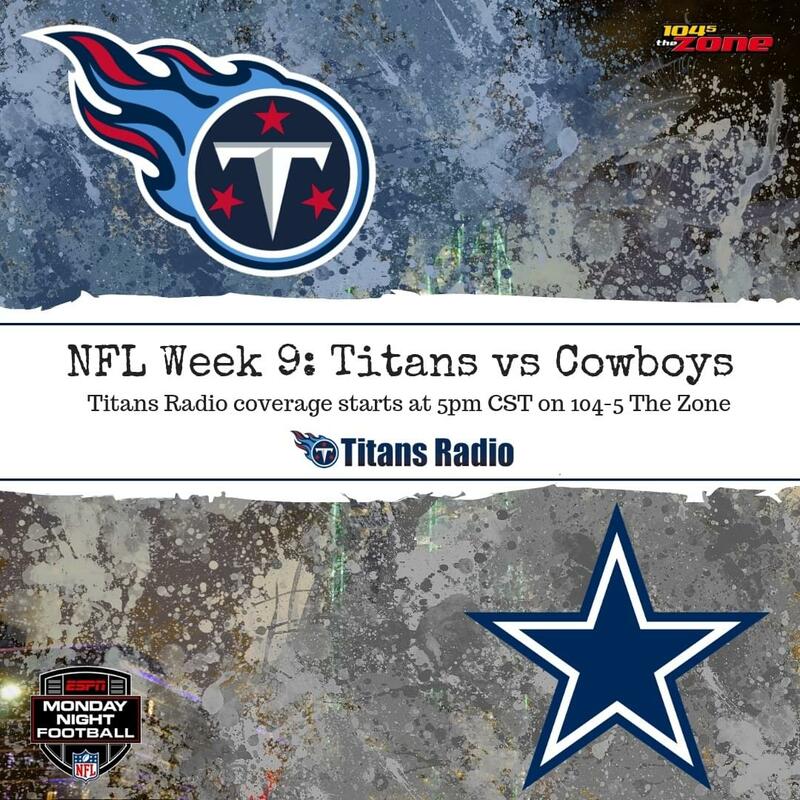 After an upsetting loss in the final seconds of Titans vs. Chargers at Wembley Stadium and a bye week, the Titans (3-4) return to play on Monday night vs the Dallas Cowboys (3-4) for Monday Night Football. Kickoff at AT&T Stadium is scheduled for 7:15pm CST on Nov. 5. This is the third time these teams have met on Monday Night Football and the first of two games this season for the Titans on Monday night.